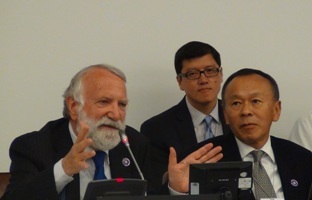 Find out more about the Global Interfaith WASH Alliance that was recently launched at the UNICEF Headquarters in NYC. 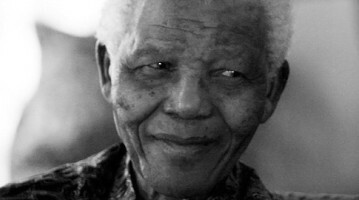 Today humanity as a whole mourns Nelson Mandela. It is a rare moment to reach out to the people of South Africa. The Jacob Soetendorp Institute for Human Values has been founded by Rabbi Awraham Soetendorp. Honoring the name of his late father, the Institute is building bridges between the religions, cultures and generations. It is guided by the imperative of tikkun olam, repairing a world that is broken for those in need, for ourselves and our future. 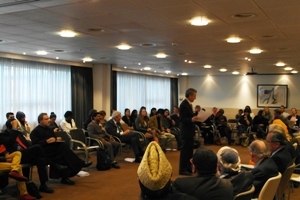 The basic motivation for the projects of the Soetendorp Institute was derived in Rabbi Soetendorp's moving life story, his "memory beyond memories": Having survived World War II as a hidden childed, rescued by a righteous couple who risked their lives for him, Rabbi Soetendorp has come to the conviction: When the gaze of a baby can still reach the heart, even in the deepest depravity, nothing is lost. The Institute therefore promotes an "education of the heart" that generates hope, inspiration and empathy with other cultures, religions, and forms of life. We believe that these skills are essential for eradicating xenophobia and creating just, peaceful and sustainable communities. "The Insolent Waters: Moral Choices for an Endangered Planet"